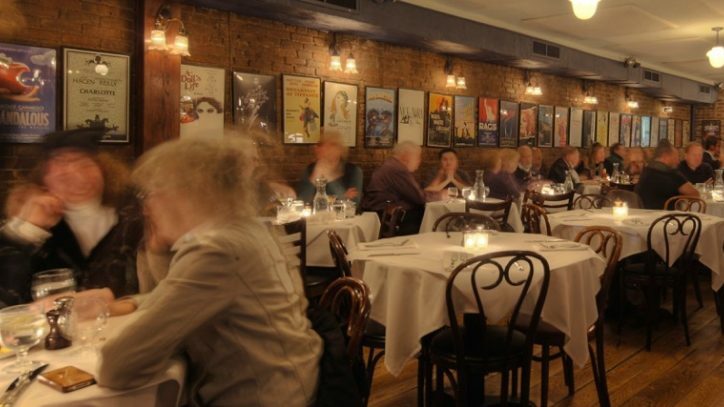 Theatergoers, tourists, neighborhood regulars, and Broadway celebrities: You’ll find an eclectic mix at the Joe Allen restaurant in New York’s Theatre District. 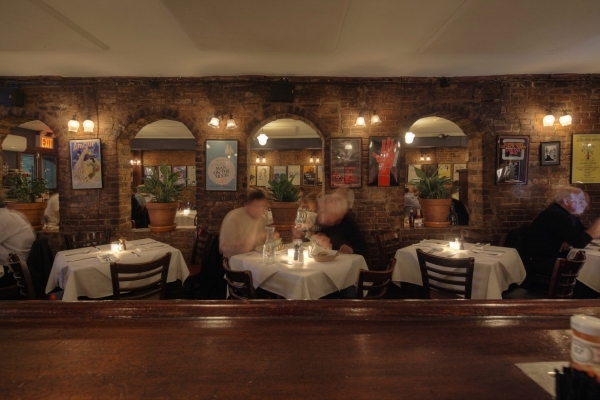 The cozy, brick-walled bistro, located just blocks away from the majority of Broadway’s theatres, has been in business for 50 years and it’s still a popular hit. The story of Joe Allen, the restaurant, begins, like most tales of Manhattan, with a real estate deal: Joe Allen, at the time a partner in a restaurant venture on the Upper East Side, purchased two adjacent brownstones on West 46th Street in the block between 8th and 9th Avenues in 1965 with the intention of opening his own restaurant. Allen got his start in the business in the early 1950s, bartending at P.J. Clarke’s on Third Avenue, a well-known hamburger joint that was the celebrity hangout of that decade. 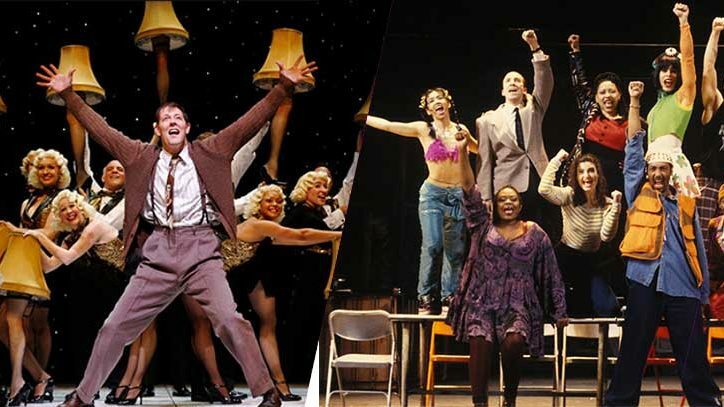 Many of those struggling performers who found a friendly place to eat at the start of their careers would go on to become marquee names both on Broadway and in Hollywood. And they stayed loyal to the canteen from their past. For example, the year the restaurant opened, Tony Roberts and Penny Fuller were playing the leads in Barefoot in the Park (having replaced Robert Redford and Elizabeth Ashley), and the following year, in 1966, Gene Hackman and Sandy Dennis got their breaks costarring in the Broadway comedy Any Wednesday, which in turn led to blossoming careers in the movies. Al Pacino, who is still regularly spotted at Joe Allen, made his Broadway debut in 1969. Other stories get repeated so often, they take on a mythical quality. Who knows if this one about Sylvia Miles (or was it Bette Midler?) is even true, but it’s certainly fun to repeat: The actress was ogling the waiter, who was black. “How would you like your coffee?” he asked her. “Like my men,” she purred suggestively. He batted back, “I’m sorry. We don’t serve gay coffee.” Or, perhaps you were there on the night of the rainstorm when a soaking wet Jude Law rushed in after a performance of Indiscretions. Everyone watched agape as the young star stood shirtless by the bar toweling down. No one left the restaurant. As befits a long-surviving theatrical institution, Joe Allen has its own distinctive tradition. If Sardi’s is known for its framed caricatures, Joe Allen has the Wall of Flops: a gallery of posters, concentrated along the eastern wall of the restaurant, which memorializes Broadway shows that bit the dust. The tradition began with Kelly, a 1965 musical set in the 1880s about a man who claimed he jumped off the Brooklyn Bridge and survived. 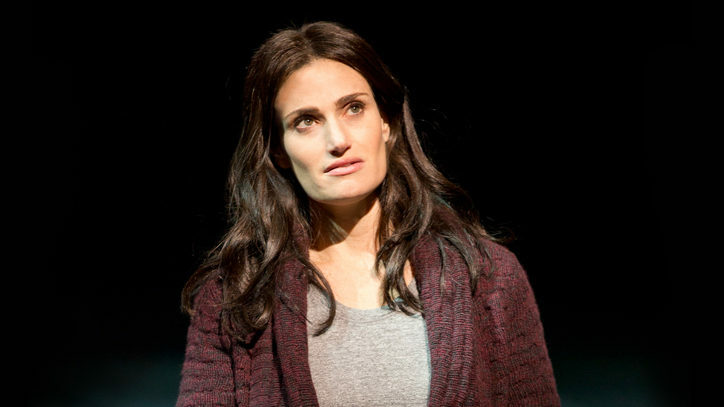 The show notoriously posted its closing notice on its opening night. A few months later, shortly after the restaurant opened, the cast of the unfortunate show came over to have their opening/closing night party. As a joke they suggested that their poster be hung on the wall — after all, where else could it hang? The very next season, the musical Breakfast at Tiffany’s, starring no less than Mary Tyler Moore and Richard Chamberlain, closed before it even opened; producer David Merrick pulled the plug during its disastrous previews. “Merrick said, ‘This is my Bay of Pigs,’” notes Allen with a chuckle. The restaurant owner then decided that he would celebrate infamous flops, setting as the criteria productions that cost more than half a million and ran for less than a week. The figures changed over the years, but the principle remains the same. The management did, however, draw the line at Spider-Man: Turn Off the Dark, because, although it lost huge sums of money, it ran for nearly three years.